alphaXRT wish to announce that after 15 years with the company, Leanne Elich has decided to join Varian Medical Systems as their Head of Sales, Australasia. Throughout her time with alphaXRT, Leanne has been instrumental in helping to fundamentally improve the way that radiation therapy is delivered in our region. Her dedication to our customers and their patients is unsurpassed, and we wish Leanne the very best in her new role. Please visit our event page for more details. Make sure you block out 25th of May 2019 for our next Accuray Symposium in Perth! Call for abstracts and more details to follow. 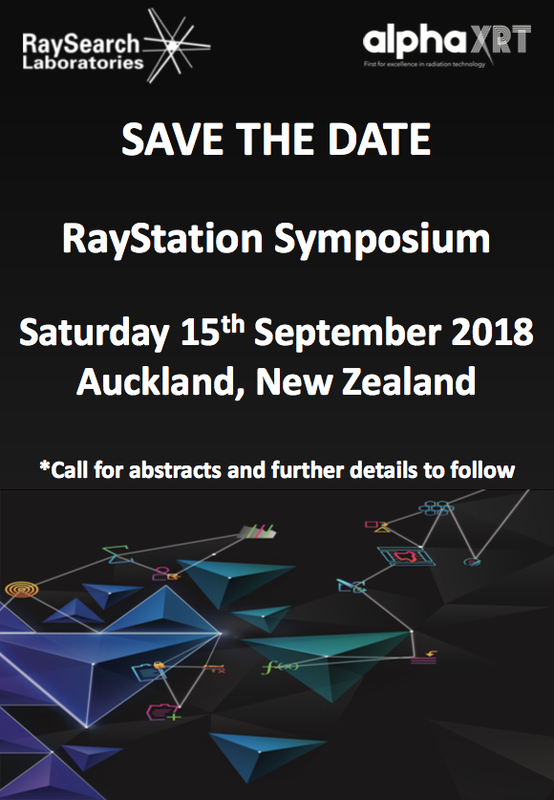 Save the date for our RayStation Symposium on 15th September 2018! 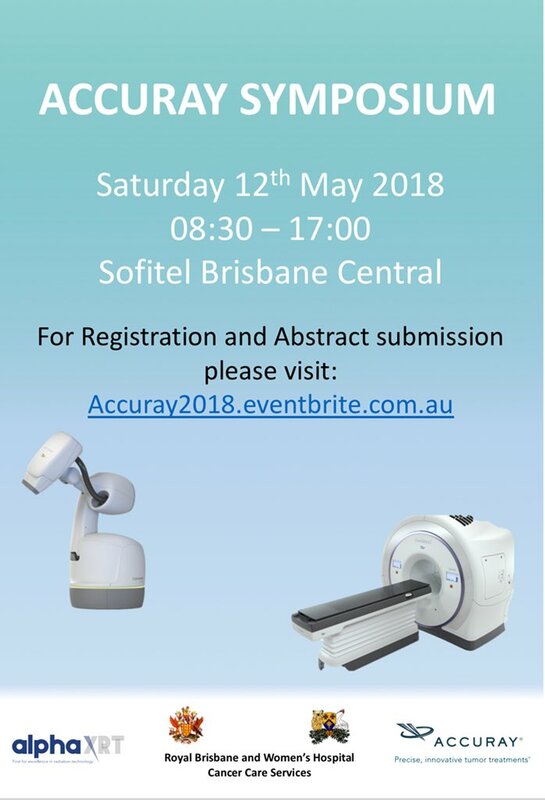 Registration for the Accuray Symposium is now open! We are delighted to announce that alphaXRT are the official distributor for MacroMedics in Australia and New Zealand. MacroMedics has over 35 years experience in the development and manufacturing of high-end positioning and immobilisation devices for radiation therapy, and is at the very forefront of product design and innovation. In fact, it was the MacroMedics team who first introduced carbon fibre materials in radiotherapy, and today they continue their strong focus on accuracy, reproducibility and patient comfort. Along with these exciting changes, we are also distributing the entire Cortex range of implantable markers that includes their specialty markers for a variety of advanced clinical applications. The founders of Cortex were instrumental in establishing the use of fiducial markers in radiation therapy worldwide, and we are delighted to include them in our product range. alphaXRT’s dedicated team has unparalleled experience in the Australasian market. To arrange a demonstration or for an introduction to our new products, please contact Leanne Elich or Benson Hau on: 02 9552 4090.
alphaXRT is very proud of Sophie Woods achievements, the 2017 winner of the alphaXRT Award for Top Clinical Student - Year III, Bachelor of Radiation Therapy. My sincere thanks for organising the framed certificate and cheque for this award. On behalf of the staff and students, I would like to thank alphaXRT Ltd for their continued support of our programme. Sophie being presented the award by Professor Harlene Hayne, Vice-Chancellor at the University of Otago. Paige Aston Atkins, featured with Professor Sunny Collings, Dean & Head of Campus at University of Otago, Wellington receiving the 2016 alphaXRT Award for Top Clinical Student - Year III. Freddie Cardel outlines the concept of automatic plan generation with Plan Explorer and demonstrates a completely new level of automation. He explains the approach, where large numbers of high-quality treatment plans are automatically generated for defined clinical goals and combinations of treatment techniques and machines, and shows how these plans can be easily filtered and browsed to find the most suitable candidates to be evaluated. Modular bunker technology will be used in more than seven of Icon Group’s pending radiation oncology developments across Australia, including the new Radiation Oncology Centres (ROC) site at Redlands, which is in building stage with the first Veritas bunker currently being installed (pictured). alphaXRT is the Australian and New Zealand distributor of Veritas, a US based company who are a world leader in the design, production and installation of pre-engineered radiation treatment facilities. Veritas’ modular designed bunker fits inside a space of just 39.04sqm when the average size of a standard concrete radiation oncology room is 60.1 sqm. Supporting a highly experienced sales team with customer and supplier liaison? Enhancing your skills to develop your career in the medical devices arena? Being involved in sales, marketing and event management? …then join our international team at alphaXRT. We are currently seeking a Sales Support Professional to join our successful team supplying a wide range of radiotherapy products throughout Australasia. Our state-of-the-art solutions include the CIVCO range of radiation oncology equipment, as well as many other highly innovative radiation therapy products. The successful applicant will assist in the provision of high quality support for our range of radiation therapy immobilisation products. This will include supporting the current team and working closely with the Manager-Radiation Oncology, particularly in customer support, and a range of other services. A degree or similar, preferably in a health or a related field. Good communication skills and the ability to work as an effective member in a successful sales team. A good work ethic, combined with a strong attention to detail, self-motivation, and the ability to work unsupervised is desirable. An ability to develop strong relationships with our valued customer base and within the existing team. A proactive, confident, can-do attitude. Australian or New Zealand citizenship or permanent residency. Excellent English, written and verbal, is essential. Preference will be given to a candidate with a background in radiation therapy or similar. The position is located in the fantastic working environment of our office in Alexandria, Sydney. A significant remuneration package will be offered for the right candidate. alphaXRT won Sun Nuclear Distributor of the Year, again for 2015! At the recent 2016 Sun Nuclear Global Sales Training for distributors, alphaXRT was presented the Distributor of the Year, Overall Performance award, again for 2015. Preference will be given to applicants with current experience in radiation therapy, and in particular with TomoTherapy. Accuray Incorporated (NASDAQ: ARAY) announced today that it has signed a distributor agreement with alphaXRT involving the CyberKnife® and TomoTherapy® System portfolios in Australia and New Zealand. Under the terms of the agreement, alphaXRT will be the sole distributor for Accuray products in these territories. 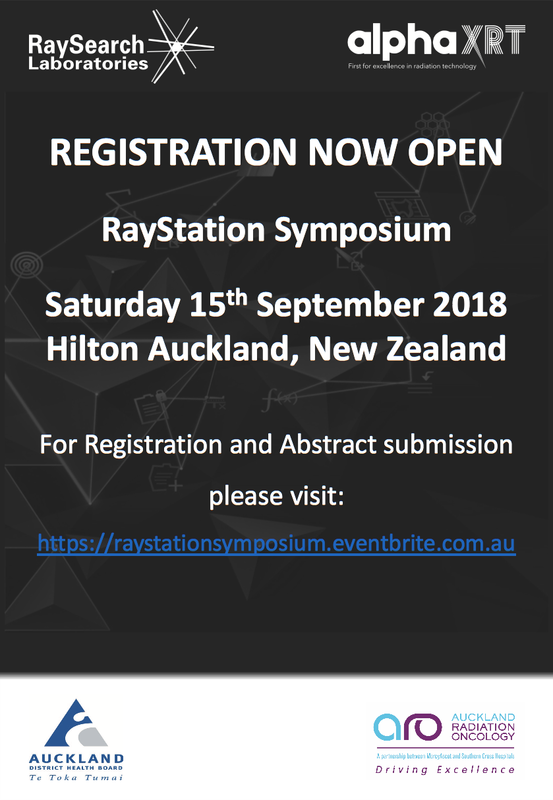 The inaugural Australasian RayStation Symposium, hosted by alphaXRT and Radiation Oncology Institute, was held on Saturday at the Four Seasons in Sydney. Quality presentations, enthusiastic delegates and our special guest Dr Johan Löf, the Founder and CEO of RaySearch, who shared his vision of the future of radiotherapy, combined to make the day extremely memorable and a great success.